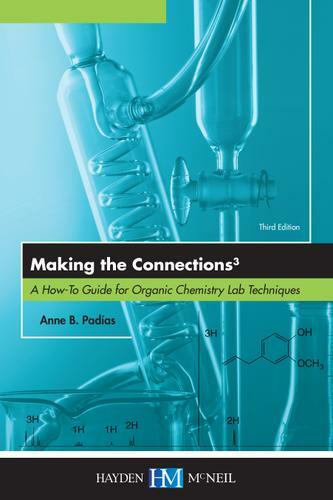 Currently in its third edition, Making the Connections 3: A How-To Guide for Organic Chemistry Lab Techniques, by Dr. Anne B. Padias, enhances the winning content of the first and second editions by giving a more extensive look at Nuclear Magnetic Resonance (including 2D NMR), molecular modeling, green chemistry, with supplementary problems at the end of each chapter and more. MTC features a clear and concise writing style, coverage of modern instrumentation techniques, numerous scientific illustrations and basic principles, real life examples and practical tips. Adaptable to any organic chemistry manual or lab curriculum, MTC is the affordable alternative to the traditional textbook.